According to a study, researchers found that when dogs were reunited with their owners, the dog subjects lifted their eyebrows (the left, in particular). Whereas when they encountered a stranger, there was notably fewer facial expressions. You've heard that yawning is contagious, but why? In humans, this instinctive reaction correlates to our capacity for empathy. And in dogs, this is no different. 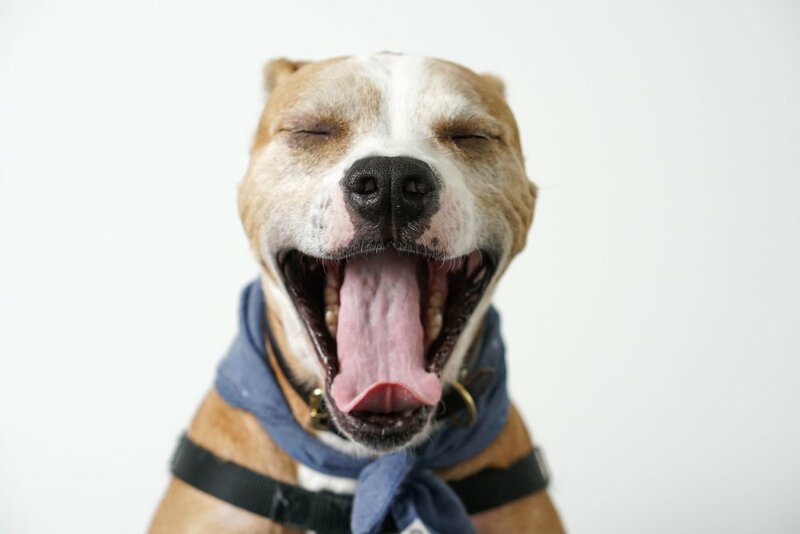 In one study, dogs were more likely to yawn with their yawning owners than with a yawning stranger; this suggests an emotional bond. And because researchers did not detect any raised levels in the dogs' heart rate, this eliminated the possibility that yawning was a sign of distress. He’s always underfoot and even has a tendency to lean on you. Experts continue to debate whether this quirky behavior is a sign of affection or a sign of asserting "alpha" dominance, but here are a few situational clues to tell the difference: If he is not demanding to be petted, or begging for a treat, or inserting himself as a protector between you and another person, this is more likely a simple sign of solidarity, akin to a hug. Look for your dog to offer you a "play" bow, which in canine body language is a friendly invitation for you to play with him. He will bend at the elbows with his chest low to the ground, but with his rear in the air, keeping locked eye contact. As Alexandra Horowitz observes in her extensive book on the subject, "Inside of a Dog", dogs -- like us -- are social animals, and they love to play with the members of their pack. Jumping, wrestling, even light nibbles are all playful roughhousing behaviors. It's the classic sign of a happy dog, right? That’s only half true. Your dog wags his tail to express any number of emotions including happiness, but also fear, tension, or even aggression. When your dog is truly happy, he will hold his tail loosely and low to the ground, sweeping back and forth. Believe it or not, there's something scientific to the phrase, "puppy eyes." 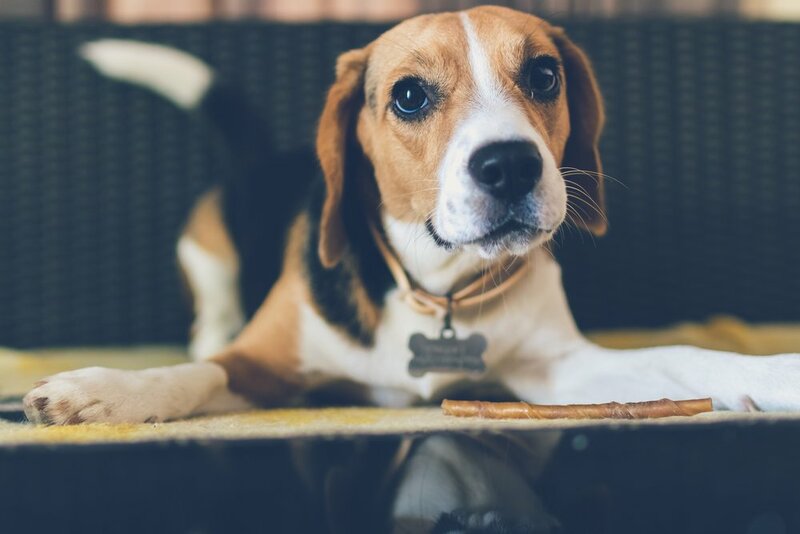 Researchers have studied the prolonged eye contact shared between dogs and their human companions to discover that both benefit from elevated levels of oxytocin, the love hormone. Pair this with relaxed body language, talking, and petting, and this bolsters a bond between you and your dog. You recognize that goofy grin, stretched from ear to ear. But what does a real smile look like on a dog? Picture this: perked-up ears, softly-blinking eyes, and the mouth is relaxed and held slightly ajar; his body language -- from head to toe -- looks relaxed. All of these are good signals that he's happy -- and more importantly, happiest with you!